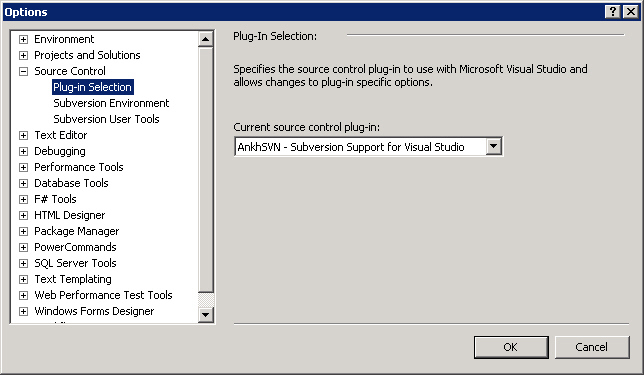 AnkhSVN is a Visual Studio plug-in which can let you do subversion commands directly thru GUI in Visual Studio. I've been using it since Visual Studio 2005. It's a great tool saving me much time on version control thing. But today after installing it on Visual Studio 2012, I found it does not appear in the IDE even I restarted the IDE and OS. Follow the steps below to get it appeared in your IDE if you happen to have the same problem.